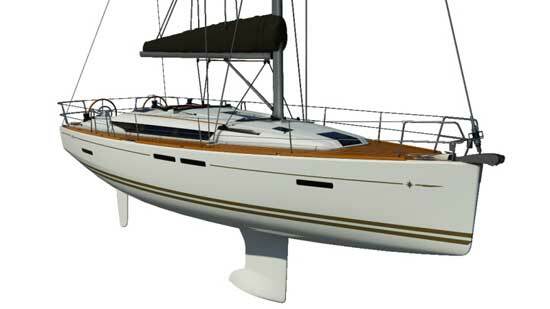 This all new sleek 40 footer is strong out of the blocks, with 28 on order since its debut at the Annapolis Boat Show. It’s not easy to stand out at a boat show - especially at this year’s Annapolis show where over 25 new sailboat designs were introduced, many of which started to blur in the minds of the show goers by the end of the first day. 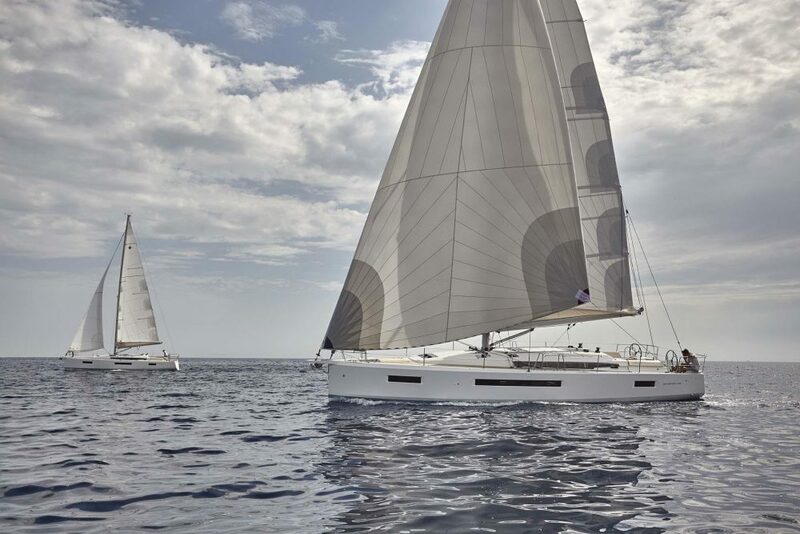 But that was not the case for the Sun Odyssey 409, Jeanneau’s streamlined new replacement for their 39i and a finalist in the European Yacht of the Year awards in the Family Cruiser category. This Philippe Briand design drew long lines of inquisitive shoppers and a month after the show, 28 are on order—which should keep the South Carolina plant where they are built very busy. The Sun Odyssey 409 is one foot longer and two inches beamier than the 39i, but this feels like a much bigger boat. Although it’s only one foot longer and two inches beamier than its predecessor, the 409 feels like a much bigger boat both above and below. 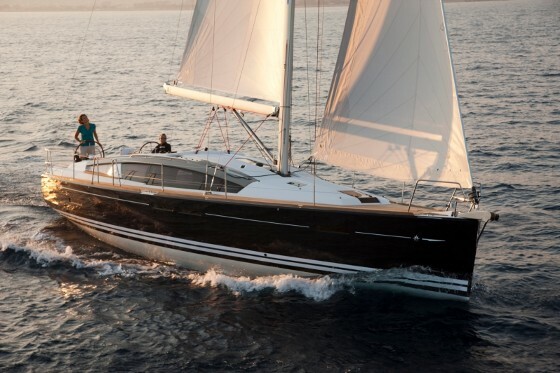 Some of this roominess may be attributed to the extra volume created by the hard-chined hull; some of it is due to a new fold-down transom that actually creates the swim platform. Previous models had a dedicated swim step that was mostly unused space. In its evolution, the 409 therefore gained a foot in the cockpit and another foot down below, which add up to more room for the crew and a better feel overall. 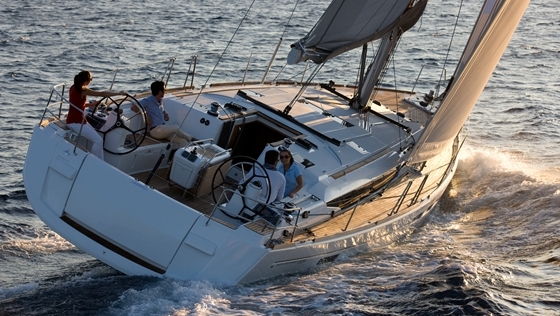 Like other Jeanneau designs, the 409 is a hand-laid solid fiberglass layup. There is no coring in the hull, only in the deck, which is a balsa sandwich. The plumb bow, low coachroof with its long, non-opening side portlights, and an angular transom make the boat look serious, fast and maybe a little intimidating. She looks like a force to be reckoned with. The 409 gained a foot down below, making for a more open feel. Focusing on safety when moving about, the 409 is all about uncluttered decks and few toe stubbers. Forward is a single-compartment, draining anchor locker that houses (and completely covers) an electric windlass. The hatches are flush-mounted, and all the control lines are led back from the mast in a channel under the deck that keeps them protected. Teak decks are an option. There’s a nice flow when moving from the deck to the large cockpit where a centerline table with two leaves and a draining ice box separates two long benches with shallow storage lockers below. At the end of the table is a swiveling mount for a plotter/radar display, and there’s room for wind instruments, autopilot controls and two compasses on the twin wheel pedestals. One transom locker is deep to store such items as fenders; the other holds the propane. A liferaft locker is below the cockpit sole and just aft of the emergency tiller connection. It’s a very functional cockpit that might be found on a much larger boat. The 409 is all about uncluttered decks and a streamlined look. 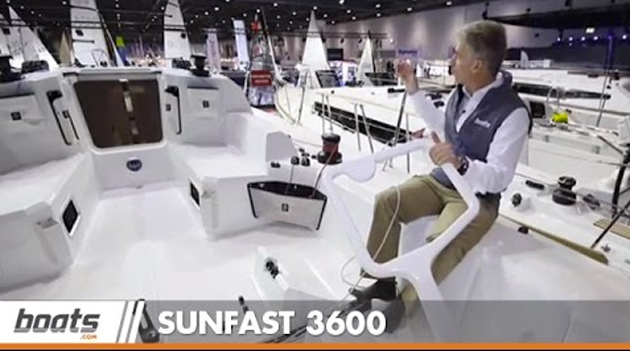 Jeff Jorgensen, commercial product specialist at Jenneau America, describes the 409 as “really spirited under sail.” The fractional rig offers configuration choices including a self-tacking or overlapping jib (105%) and a regular or in-mast furling main. 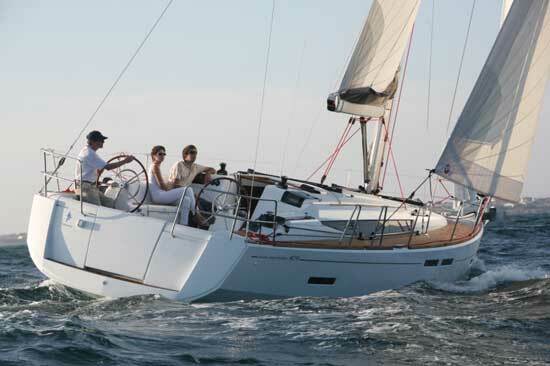 The performance sail plan offers an additional 150 square feet of sail area for a total of nearly 1,000 square feet, with a full-battened main and a large overlapping jib (140%). The jib sheet winches are within reach of each of the helms and the genoa tracks are either on the cabintop for the standard rig configuration or on deck for the performance option. A choice of standard (6’ 10”) or shoal (5’ 1”) keels is also available. 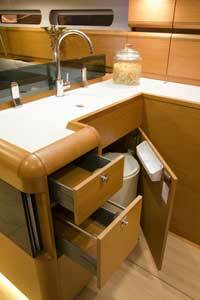 The galley is well laid out with ample storage. 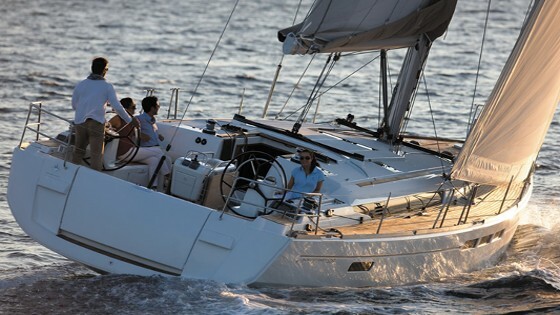 The Sun Odyssey 409 is a performance cruiser with extra emphasis on performance and also easy handling. Polar diagrams suggest that she does well both on and off the wind with the performance rig making 8.5 knots on a beam reach in 14 knots of true wind and 7.5 knots at 50 degrees in the same wind conditions. The standard rig will deliver approximately 10-20% less speed. 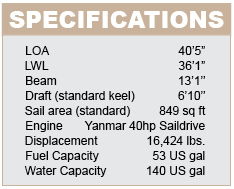 Under power, the 40 HP Yanmar sail drive with the three-blade fixed prop will push the boat at 7.8 knots of cruising speed (consuming under a gallon an hour) and tops out at 9.0 knots—where fuel efficiency diminishes. 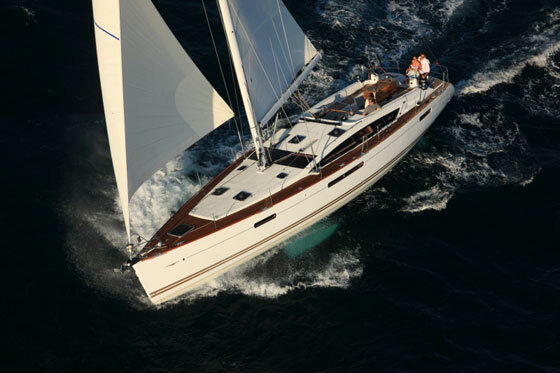 The Sun Odyssey 409 is available with two or three cabins and one or two heads. Of the 28 on order now, the vast majority of new owners have requested the two cabin, single head layout which affords them a large interior storage space aft on the port side. Accessed via a door in the head, this area can hold gear, tools or an optional genset. Because there is a cockpit locker above, this space is a weatherproof storage area and not accessible from the cockpit. Alternatively, this area forms the third cabin and matches the one on the starboard side. In the three-cabin version, the head to port is actually elongated and extends into the saloon area where it overtakes the space that is otherwise the nav station. The smaller head in the two cabin layout allows enough space for a nav station of sorts, but it’s not a dedicated space by any means. To starboard is a well-laid out, L-shaped galley with twin sinks, a 12V refrigerator with a freezer compartment, a two-burner stove and oven, and ample drawers and storage. The table at the U-shaped settee in the saloon is the first of its kind, and it was a real point of conversation at the show. It can fold out at full height for dining, fold in half and lower for cocktails, or lower even farther to form a lounge area or berth. It glides on two tracks and is pushed up by a spring so making up the bed is just a matter of leaning on it and locking it. It’s a very clever and tidy design which will probably make it onto other Sun Odyssey models soon. The table can fold out at full height, fold in half and lower for cocktails, or lower even farther to form a lounge area or berth. The master cabin in the forepeak features either storage lockers and a small vanity desk and chair to starboard or, in its place, a second head. 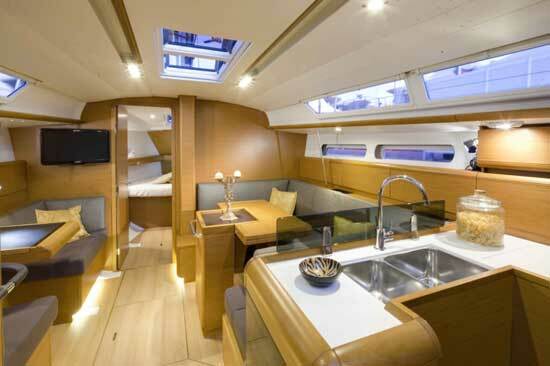 The two-head layout makes this otherwise airy space a bit cramped, but a second head will serve well for families with children or if the boat is destined for charter. Once you come below via the three easy companionway steps, you’re struck by the simplicity and clean lines of the contemporary design. The luxurious alpi wood and plenty of leather-covered chrome handholds add a nice touch to the angular, Euro-chic styling. And the 409, like all Jeanneaus, is built to accommodate a 6’3” individual with a bit of headroom to spare. The design brief asked Briand to “take every element that embodies the Sun Odyssey range and make it better.” That’s nicely vague and not very directive. 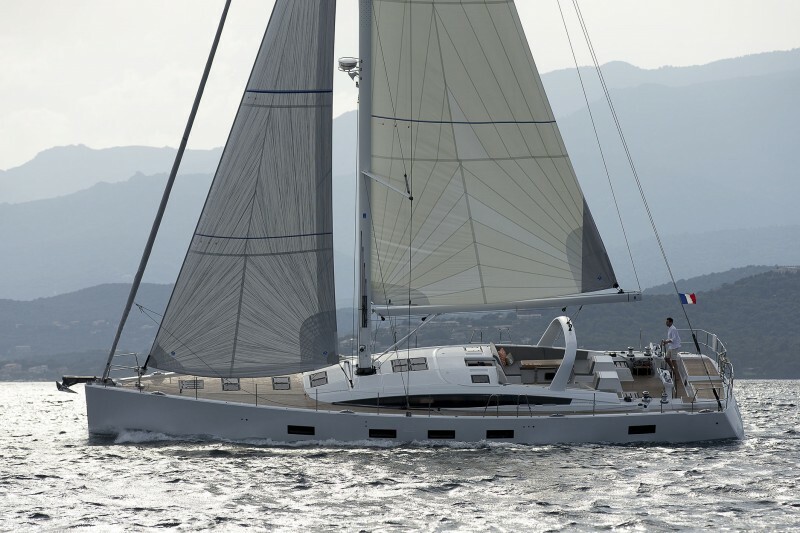 But somehow, Briand did manage to rethink the hull shape, sail plan, deck layout and interior feel, and really did improve on the concept of a 40-footer with this appealing new model. 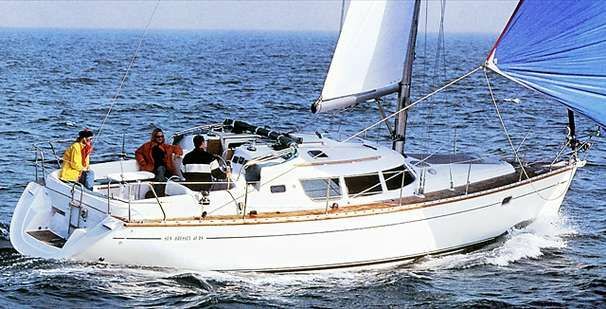 The Sun Odyssey 409 has a base price of $195,000 but with delivery, commissioning, electronics and a slew of other goodies, the sailaway price is more like $260,000.